Pre-entry for the ride is now closed. We will accept late entry's on the day at registration at the sports village. You will have to sign an indemnity form and pay £49 in cash or cheque to Ataxia UK. DISCLAIMER: All rides are at your own risk. We operate a strict health and safety disclaimer. This will be emailed to your address prior to the ride. 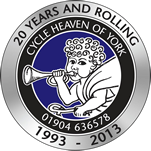 Please ensure that you have your own third party insurance (check your house insurance) and consider taking membership of a cycling club like the CTC. We also issue strict guidelines for participants. WHO CAN ENTER THE RIDE? The ride will start at 9 am prompt. We like you to have a link to Ataxia UK or an association with someone who has done a BIG BAD BIKE RIDE previously. However, the ride will be open to anyone who wishes to take part who is human and has a sense of purpose. We want people who are committed to raising funds for ATAXIA UK. If you would like to pay as a team or company then please use the contact form to contact us to ask for a team code. Each team member still must register but the team leader can pay for their entry. If you are riding as a team but paying individually, please continue to register - on the application form ignore the team code and just enter a team name. Our ideal rider is someone who has not been on a bike much over the last ten years, and for whom this ride will present a real challenge. That way, lots of people will sponsor you! We are not looking for top-class fitness enthusiasts, but for the person who likes a little bit of chocolate and the regular glass of wine, but wants to use the bike ride as a challenge to get fit. However some people may be good riders, but find other ways of getting sponsorship via companies or their own personal donation. We have a real mix of riders and abilities. We have reduced the entry age this year to 15 to allow more families to take part. Generally we have about 35% male, 55% female and 10% indeterminable. Safety is our prime concern and you need to have a minimum level of fitness and health. When you enter the ride, please note you are entering at your own risk, as we cannot insure against any accidents caused by events beyond our control. From past experience, accidents happen when people try to go too fast. We will do our best to signpost but each individual must take responsibility for their own personal safety. My main aim is to give you the pleasure of a real sense of purpose and at the same time to raise as much money as possible for the charity.